What day would this be? I don’t know, but today was the LGBT Day of Silence. First, I’d would like to mention that Day of Silence is actually April 25. Secondly, dat bish in the background be defiant. This SO needs to be Rick rolled!! It looks like one of the nonsense protests Mark Thomas organised/suggested people do to protest the need for a permit to protest near parliament. 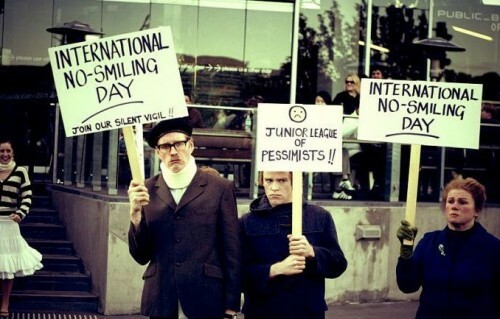 Every day is Non-Smiling Day for me.